JAMESTOWN – A series of construction and renovation setbacks have led to a delay in the opening of the Jamestown Brewing Company in downtown Jamestown and, as a result, the owners of the business are requesting a delay in paying back the money they’ve borrowed for the project. According to Jamestown Development Director Vince DeJoy, the father-son team of John McLellan Sr. and John McLellan Jr. – who own the business – are asking their lenders to allow them additional time before they begin to start paying back their loans. During this week’s city council work session, Jamestown Mayor Sam Teresi explained why the request was being made. 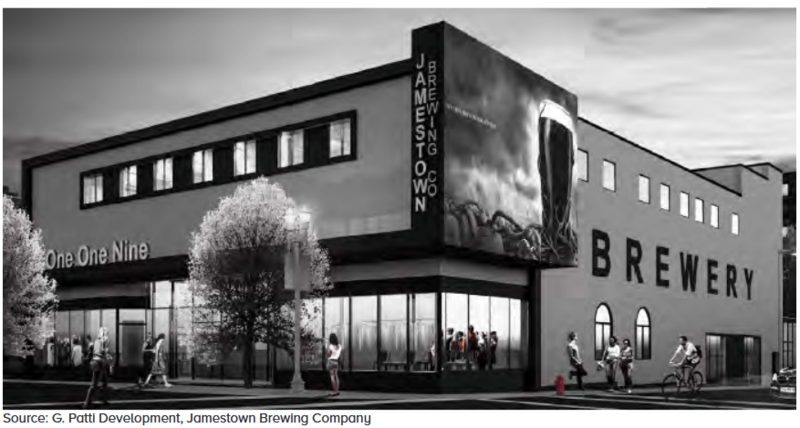 Those lenders for the Jamestown Brewing Company business include two public agencies – the Chautauqua County Industrial Development Agency and the Jamestown Local Development Corporation (JLDC). In March 2017, the JLDC board approved a $180,000 loan for the business, which is moving into the former Lillian V. Ney Renaissance Center on the corner of W. Third and Washington Streets and is currently converting it into a three-floor restaurant and microbrewery. The original terms of the loan were for seven years at 4 percent interest, with payments of the loan scheduled to begin shortly. Because that loan was over $100,000, the Jamestown City Council also had to sign off on it and voted unanimously in support of it in March 2017. The total project cost, which not only included starting the business, but also acquiring and renovating the building, was estimated to be $4,835,760. Of that, the total project cost attributed to just starting the Jamestown Brewing Company was estimated at $750,000. The building is owned by G. Patti Development and financing for the renovation of the property included $835,000 from the $10 million state Downtown Revitalization Initiative grant awarded to the city and finalized in the summer of 2017, as well as a $475,000 state Main Street grant that was awarded through the Regional Economic Development Council program in December 2015. In addition to the $180,000 JLDC loan, the McLellans also received a $100,000 Al Tech loan from the county IDA. And the Greater Jamestown Zone Capital Corporation also acted on a $50,000 loan for the business. The remaining funding for the business was provided by a loan from Five Star Bank. During this week’s city council work session, finance committee chairman Tony Dolce announced that the borrower had requested they be given more time before having to make payments on their JLDC loan. In response, city councilman at large Andrew Liuzzo asked if there was any reason to be concerned. “What’s the contingency plan if this doesn’t pan out like we’re hoping it does. It had trouble getting an opening date and they had to push that back. Things happen. So what happens if they can’t pay this loan back? What happens to our commitment to this project?” Liuzzo asked. City Development Director and JLDC Executive Director Vince DeJoy explained that other lenders for the business – including Five Star Bank – have also agreed to allow a delay in first payment on their respective loans, adding that all vendors are understanding of the business’s circumstances. “We would always try to work out a way if they got behind, work out something with the business that got the loan. 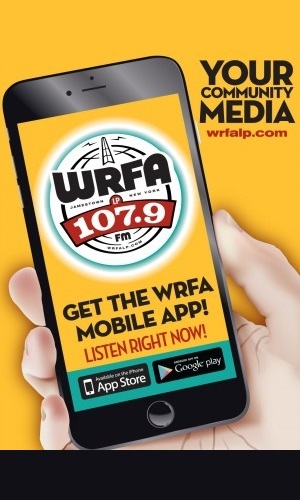 But again, we’re in line with a number of other lenders and we will all as a group try to do everything we can to make sure this business succeeds,” DeJoy said. DeJoy also noted that no money from the JLDC loan fun will be given to Jamestown Brewing Company until after the business is open. Mayor Teresi added that by delaying the payment schedule, the owners will have more on-hand capital to help ensure a successful opening. “What everybody is trying to do is recognize that the opening has been delayed, as it’s been said, through no fault of their own. There’s been development delays with the real estate developer who’s delayed the business’s entry. All the lenders got together and said we’d like to provide some additional consideration and help to this business so that they can get open and get open on the right foot,” Teresi explained. Because the JLDC loan for the project initially required city council approval, the council is also required to act on approving the revised terms of the loan. It will act on the matter during the Oct. 29 voting session. The County IDA was also expected to act on revising the terms of its loan to Jamestown Brewing Company during its meeting on Oct. 23. According to a March 2017 article by the Jamestown Post-Journal, the original plan was to have the business open in late 2017 or early this year.